Turmeric and citrus fruits have antioxidant compounds that may help answer the mystery of cancer. 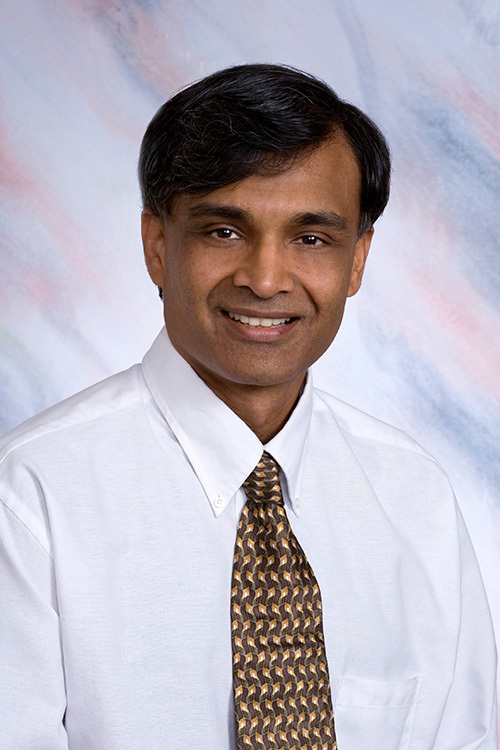 Siva Somasundaram, a University of Houston-Victoria biology professor, learned through years of research that while these compounds are beneficial alone, they interact with chemotherapy in different ways: Curcumin in turmeric decreases the cancer drug’s effectiveness, while the limonin in citrus has no such negative effect. What is unknown is how the compounds interact and affect chemotherapy outcomes when combined. That question is the focus of Somasundaram’s newest research mission, funded by a $17,000 “Designing Foods for Health” grant he recently received from the U.S. Department of Agriculture. Somasundaram teaches cancer biology at UHV and serves as nutrition team leader for the Vegetable & Fruit Improvement Center at Texas A&M University. His latest research is part of a larger, ongoing project coordinated by Texas A&M University in collaboration with the MD Anderson Cancer Center in Houston to find better ways to prevent and treat breast cancer. Somasundaram has received a total of about $90,000 from the USDA and $10,000 from the UHV Faculty Development Grant for cancer research since becoming involved with the USDA’s project in 2006. At that time, his first grant funded a two-year study of the effects of limonin on breast cancer cells in a petri dish. In 2008, the USDA gave him another grant to continue that research in mice. Somasundaram began studying the biological effects of curcumin in 1988 and has since learned that a diet rich in the spice temporarily delays the development of cancer for 21 days in experimental mice but shows no beneficial effect on already developed tumors. He has also discovered that curcumin and limonin each interact differently with chemotherapy. During the next year, as he seeks to understand how combining limonin, curcumin and chemotherapy affects the cancer-signaling genes in breast cancer cells, he will study cell cultures in the UHV Biology Department and conduct experiments on mice at the MD Anderson Cancer Center. By examining this combination, he expects to glean further insight into why cancer cells sometimes resist the antioxidating agents of curcumin, limonin and chemotherapy. “The hope is that this research will someday lead to a genetically engineered citrus fruit or variety of turmeric that slows the progress of cancer for a longer duration and also works on metastatic cancer cells,” Somasundaram said. His work demonstrates UHV’s commitment to research and the good that results when academic institutions collaborate for the benefit of society, said Jeffrey Di Leo, dean of the UHV School of Arts & Sciences. “We are proud of the growing support that Dr. Somasundaram is receiving for his cancer research and would not be surprised to see additional and even greater support come his way in the future,” he said.